Once in a grocery aisle I listened to two women discuss at length whether they needed garbanzo beans or chickpeas for their recipe. They were both holding the same can. You know the can that one side says garbanzo beans and the other side says chickpeas. Since they'd be good with whichever one they picked I left them to figure it out. 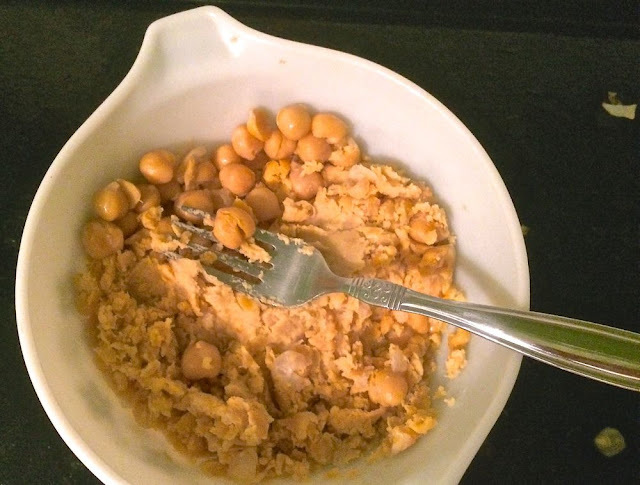 I went with the chickpeas for this recipe next time I'll try garbanzo beans. 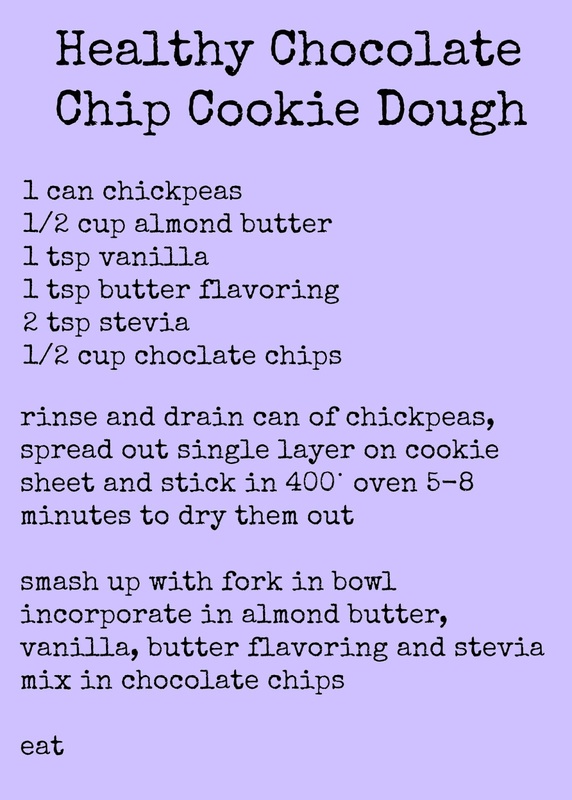 I like this recipe, it makes a small amount with a significant amount of protein, about 49 grams for the whole batch. 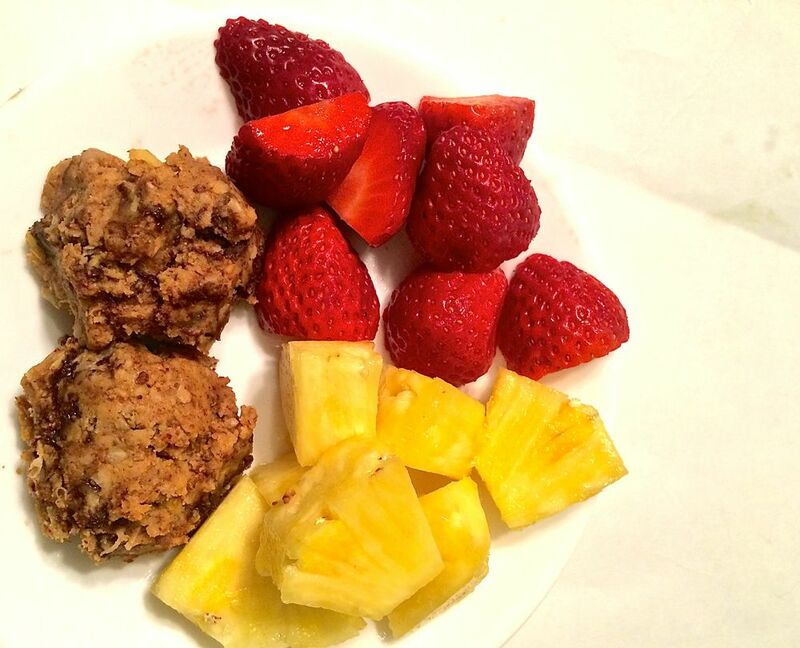 You could also add in a scoop of protein powder to up the protein a little more. The recipe makes 5 nice servings and I think tastes a lot like cookie dough. No it's not as sweet as cookie dough but I don't think it needs it. You could add more sweetener if the current amount doesn't do it for you. I severed it up with a little fruit. Smashing up the garbanzo beans. This would all go together even quicker in a food processor but mine broke a few years ago and I never replaced it. You only need to put a little muscle into it and you're good to go.